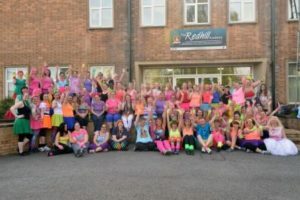 Kris Fitness has held four Zumbathon fundraising events with up to 100 participants at each event dancing continuously for 90 minutes to raise much needed funds for charities. A total of £20,413 has been raised since 2012 for Clic Sargent, Help 4 Heroes, Cancer Research and Alzheimer’s Society. A huge thank you from Kris to all of the participants and to all of the supporters that attended on the day and to the following individuals for their support, hard work and donations…Anne Greener, Elaine Chadbourne, Emma Picker, Jenna Bradshaw, Jenny Moran, Harriet Carnill, Laura Scott, Lauren Green, Nev Bradshaw, Paul Sharman, Paula Forrester, Sarah Quinn, Sue Button, Tammy Riley, Tracey Britton and Tracey Watson. 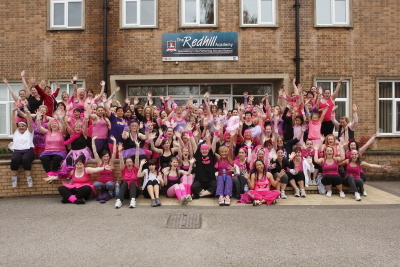 On Saturday 26th April 2014 Kris Fitness held a fund raising Zumbathon event to raise money for registered charity Cancer Research UK. Over 90 participant danced continuously for one and half hours to raise money for Cancer Research UK. The total figure raised was £7,197.41 through ticket sales, donations, sponsorship payments and events held on the day including raffles, cake & gift sales and tombola. Experian Experian made an incredibly generous donation of £1,500 in support of their employee Paul Sharman who participated in the Zumbathon. The donation was made directly to Cancer Research but is included in the final figure raised for the Zumbathon. 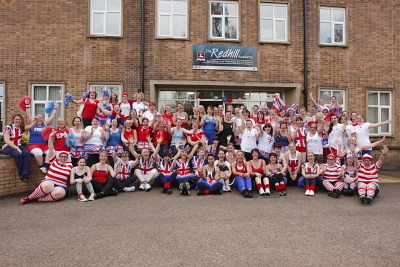 On Saturday the 27th of April 2013 Kris Fitness held a fund raising Zumbathon for registered charity Help 4 Heroes raising a total of £4,431.72! Over 90 participants danced for an hour and half to raise much needed cash for Help 4 Heroes. All ticket sale proceeds were donated to H4H, further funds were raised on the day with raffle tickets, a tombola, gift stall, cake stall and the sales of beverages and many participant raising further funds through sponsorship. On 28th April 2012 Kris Fitness held a fund raising Zumbathon for registered charity Clic Sargent, the UK’s leading charity for children and young people with Cancer raising a total of £6,295.74! Over 100 dancers participated in non stop dancing for one and a half hours to raise much needed cash for Clic Sargent based in the East Midlands at Queens Hospital and City Hospital and in other locations throughout the UK. Funds were raised through ticket sales, sponsorships, donations and events held on the day.